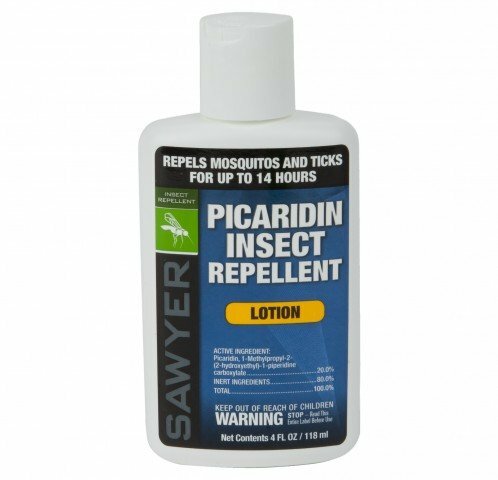 Sawyer Premium Picaridin Insect Repellent, also known as the Fisherman’s Formula, has a similar effect to DEET, yet is safer on gear and equipment. At 20% active ingredient picaridin; this long lasting topical insect repellent is effective up to 8 hours against mosquitoes, ticks, biting flies, gnats, chiggers and fleas. At 20%, this long lasting topical insect repellent is effective up to 14 hours against mosquitoes, ticks, biting flies, gnats, chiggers and fleas. Picaridin is more effective at repelling biting flies than DEET. Our 20% Picaridin is virtually odorless; It has a mild citrus scent added to it which quickly evaporates away. WILL NOT HARM GEAR OR EQUIPMENT! Perfect to use on your face. Bug season density calculations: In most countries heavy bug season is 30-60 days after rainy/winter season, then again in the fall time. In humid climates bug season remains durning their summer season. Rainy/Winter season in humid climates is lighter bugs densities, use our natural products for protection and cost savings durning these times.